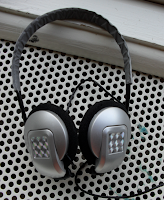 There they were: shiny and new, with ear pieces that glistened like diamonds. Today I wore my fancy headphones for the first, and final time. I hate them! The sound was so awful, it was amazing how bad it was. I didn't know sound could bé that bad. And they refused to stay on my head. Earbuds often tend to fall out of my ears, but this headphone managed to actually fall off my head. So I had to do my Stevie Wonder imitation, holding my ear pieces in place with my hands. And let me tell you: that's not a comfortable way to run. 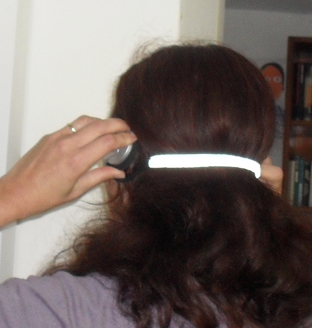 After about half an hour I finally managed to position the headphone on my head in such a way it dídn't fall off. Unfortunately, this meant wearing it kind of sideways and having it covering only my right ear. But my arms were so tired, I didn't care anymore. I don't know how Stevie Wonder did it! When I got home, I violently tore the thing off my head. 'It will make a nice gift for the kids!' I decided. Do not buy this headphone, that's supposedly for runners. The sound is terrible, and it will fall off your head. 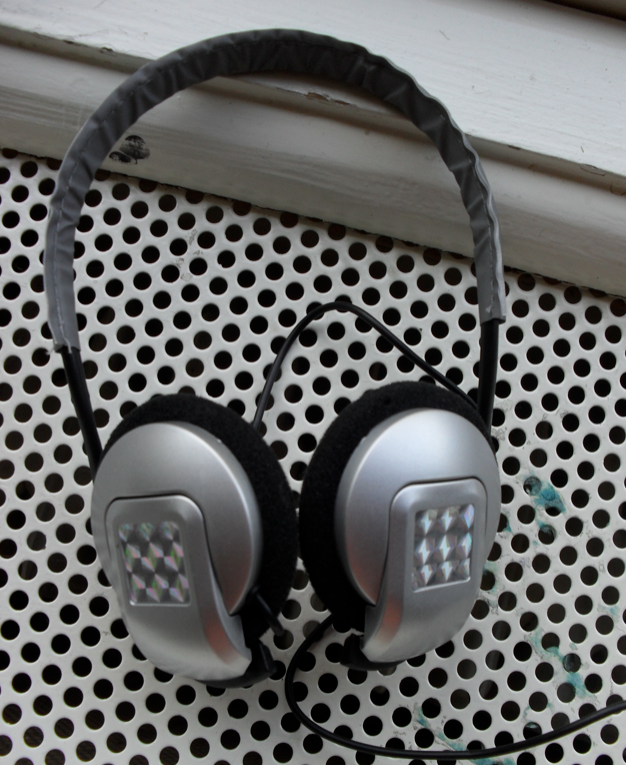 But I have to admit: there is one good thing about this headphone: it reflects like there's no tomorrow. Too bad it took a picture to see this. I'm your newest follower from Friday blog hop, would love if you would stop by and consider following me back. Two whole dollars huh? I'm sure you were infuriated after spending so much money and researching them so carefully ;D The reflection is great though. Guess you will be able to see the kids in your headlights. I will totally NOT get those headphones! Following your lovely blog. I am also inviting you to join our Autumn Blog Hop 2011 at Momma's Lounge ( http://olahmomma.com/momlounge ), where you also meet more mom bloggers; shout away; add your giveaways and/or business links; and get featured by sharing your crafts, recipes and interesting musings. You can follow me back by click any of The Quiet Mom's blog link at Momma's Lounge. Thanks for the review. Will definitely not buy it. Eek! My arms are hurting just thinking about it, lol It is really hard to find good headphones for running. There is nothing worse than a pair of terrible fitting headphones. I swear that my ears change shape during the course of a run as my ipod headphones seem to fall out at the mile six mark...every time! We really appreciate honest reviews, well done! I've learned a lot from your blog just now,please go on,I will keep an eye on it,One more thing,please visit my friends websites: beats by dre studio you will learn some news from it.it have many new beats by dre welcome www.beatsbydrestudioshop.com. I just bought Yurbuds and they have yet to fall out! Love them!